Purchasing a new acoustic guitar is an exciting process! And although there are hundreds of great instruments out there ready for the taking, your final decision doesn’t have to feel overwhelming. In fact, the first step is an easy one – just decide how you really intend to use your new instrument. Depending on whether you’re gigging, at home, recording, or looking for a rare collectable to increase its value over time, the way that you will use your guitar can really help you narrow down what your search. 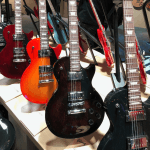 As always, the GAK staff has years of experience helping customers find their perfect guitar. Call 01723 665400 to contact a member of the team today! Tonewoods: Which one do I choose? The right tonewood depends mostly on what kind of sound you like and how you play. A fingerstyle player will want wood that responds to their delicate playing style as opposed to a wood that requires more force, like using a pick. Guitar craftsmen believe that the wood that is chosen for the top is the most important factor in determining what the Guitar will sound like. After the top, the sides, back and neck are the next most important in tonality. Other woods, such as the bridge, binding ,bracing, and fretboard can also serve to enhance or pull back the tonal effects of an acoustic guitar, though they generally don’t define the sound of the Guitar. It’s important to remember that wood species can be responsible for certain aspects of the tone of a guitar. Equally important are design, skill of the craftsman and the standard of each piece of wood used. However, tonewood selection can be a major factor in the creation of a rare guitar or a guitar designed for a specificly. Cedar, particularly Western Red Cedar, is a popular top wood for its balanced warm sound. It’s particularly favoured by fingerstyle players for its signature quick, rich response to the lighter playing style. Rosewood is known for its high response rate and broad range of overtones, and is also characterised by strength and complexity in the bottom end and an overall darkness of tone in the rest of the range. Strong mids and highs also contribute a richness of tone to the upper registers. Should I buy Acoustic or Electro-Acoustic? Choosing between an acoustic guitar and an electro-acoustic guitar is an important decision and it really goes back to how you are planning to use your Guitar. 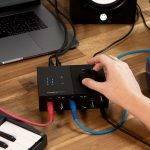 The difference between them is that an electro-acoustic contains some kind of electronic “pick up”, so you can plug straight into an amp or a PA system and hear your acoustic sound reproduced. Even if you don’t play in live situations, there are many benefits to choosing an electro-acoustic guitar. Many musicians enjoy being able to plug their acoustic directly into an interface to record their songs. 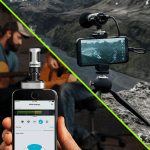 That way, you can record song ideas fast without having to worry about buying or setting up microphones. This is a complex subject that could easily fill a blog itself, various sizes and styles introduced by manufacturers have evolved in the last century. However, the most significant change came in the 1920s, when guitars were designed to accept steel strings, rather than the traditional nylon strings. Martin Guitars, with a long history of building these instruments, began giving numbered codes to the various body sizes. Smaller body, 12 fret guitars included the models 0, 1, and 2, while the 14 fret acoustics included the 00 and 000 models. The 000 style is favoured by players who want a cleaner, brighter sound, while still having a full-size body. For the players who wanted an acoustic with a richer bass response, Martin began building the “dreadnought” models, which were named after a famous British battleship. Many of Martin’s most popular models have been the D-sized instruments, from the plain D-18 to the top of the line D-45, with its ornate inlays. 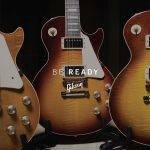 Not to be outdone, Gibson introduced their jumbo “flat-tops” guitars and still continues to produce this shape and model today. Acoustic guitars come in a whole range of shapes and sizes, from small travel size to classic jumbo to dreadnought. The body style of an acoustic determines its sound projection and tonal emphasis. Things to think about are the tonal quality vs. playing comfort. Some acoustic guitar bodies come in a single cutaway or even a double cutaway design. Giving you easier access to the upper frets. When choosing a neck, the size of your hand is key. The thickness and width of a neck is based on the size of the body as well as how many frets the neck has. 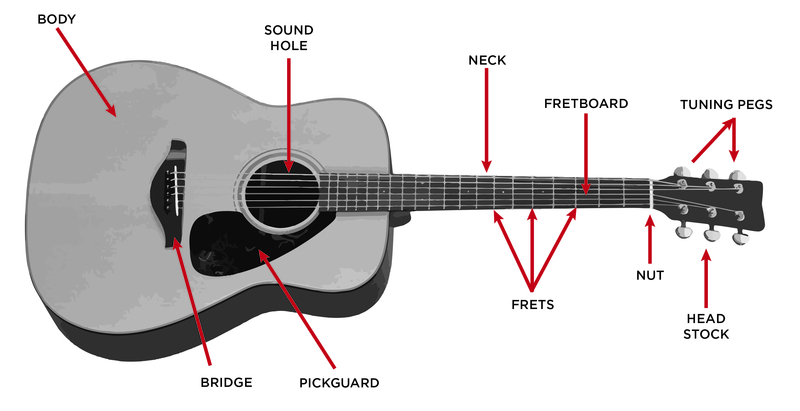 For the majority of the time, acoustic necks have 12 or 14 frets. This refers to the number of frets clear of the body, not how many overall. Different types of finish can affect the way the wood vibrates, but there is nothing you can do about this. These decisions are made by the guitar maker and they usually choose wisely. Many acoustic guitars come with pickups/preamplifiers built in for playing in larger spaces where your acoustic sound needs to fill the room. Some guitars have preamps mounted in a hole cut in the side, while others are mounted inside the soundhole. There are systems that combine preamps, microphone, piezo pickups, EQ, and tuners into one easy controller, usually on the side of the guitar. Intonation determines whether or not the notes play in tune as you move up the neck. If the distance between the frets (usually above the 12th fret) is off, the guitar will be incapable of playing in tune. The type of tuning your guitar has is very important. This allows you to fine tune and hold pitch. Enclosed machine heads resist rust and dirt, and therefore don’t require much maintenance or replacement as open tuning heads. Next TOP 10 Most Iconic Guitars!